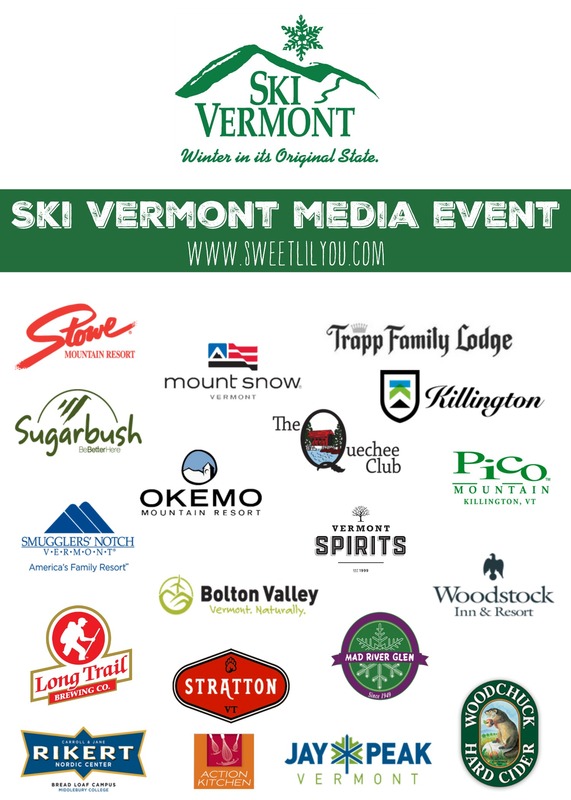 Last night I was fortunate to be invited to attend Ski Vermont’s Media event! It was a great kick-off to the ski season held at Action Kitchen in Boston! As always, I was the first guest to show up, (I am always early!!) so I made my way to the bar to try out the delicious libations! Vermont Spirits had two fantastic signature drinks. One featuring Coppers Gin and the other, the Après Ski, made with Vermont Gold vodka. I sampled both, and they were both fantastic! If you weren’t into mixed drinks, you could help yourself to a Woodchuck Cider or one of Long Trail‘s awesome brews! Action Kitchen is a very unique space. They have three “stations” and at each station, a Chef was preparing, plating and serving some of the most delicious food I’ve tasted! 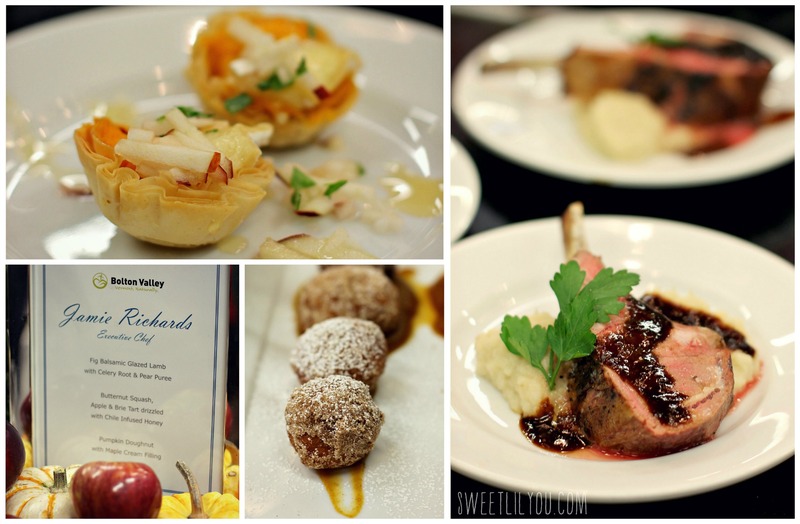 It was so much fun to be able to interact with the chefs and talk about the ingredients that went into each item. My first stop was at the Woodstock Inn station. Executive Chef Rhys H Lewis prepared the most delicious Cheddar Mac & Cheese that I have ever tasted (and I’ve tasted a LOT of mac & cheese. Like, a real lot. I’m slightly embarrassed by the amount of mac & cheese I’ve consumed in my lifetime.) The mac & cheese was topped with an equally delicious Long Trail braised Vermont pork ragout with caramelized onions. Just thinking about it now makes my mouth water! He also used fresh organic vegetables from Woodstock Inn’s Kelly Way Garden, to prepare a wonderful Roasted carrot & butternut squash soup with pumpkin seed chili pesto. YUM! For dessert, Chef Lewis served a chocolate truffle tart with the most AMAZING red wine syrup. Chef Lewis is new to the Woodstock in, and came up from Colonial Williamsburg. I think he is a tremendous addition to the already wonderful Woodstock Inn!! The third, and final station, was Bolton Valley. Executive Chefs Jamie Richards and Travis Maney started us off with a Butternut Squash, apple & brie tart, drizzled with a lovely chili infused honey! He’d also prepared a Fig balsamic glazed lamb, and for dessert, he made Pumpkin Doughnuts with maple cream filling! 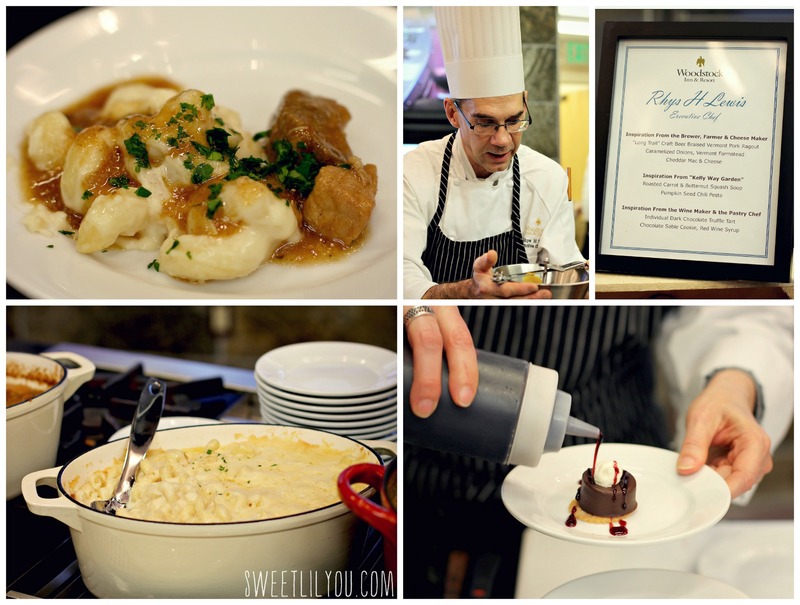 We had time to mingle with so many of the Vermont ski resorts, while enjoying delicious food. I have to say, it was the best media event I’ve attended in quite awhile! It was such a pleasure to meet so many of the mountain and resort reps and learn about the new and exciting things happening in Vermont this season!! Stratton has added 4,000 square feet to their base lodge!! Okemo has added a second Bubble chair!! Stowe is adding a new ice rink and a new state-of-the-art children’s Adventure Center!! Jay Peak has started a new composting initiative that will keep 40 tons of food scraps out of the landfill, and will be used in their many gardens!! Bolton Valley is adding the new South of Solitude restaurant at Timberline, which will feature south of the border options, like made to order burritos and tacos!! Smuggler’s Notch has added a new evening guided snowshoe outing where families trek through the woods to enjoy the classic treat of s’mores around a bonfire!! So many mountains have made some huge upgrades to their snow making!! And SO MUCH MORE!!!! And of course, it was wonderful to meet the incredible chefs, and eat their delicious culinary creations!! 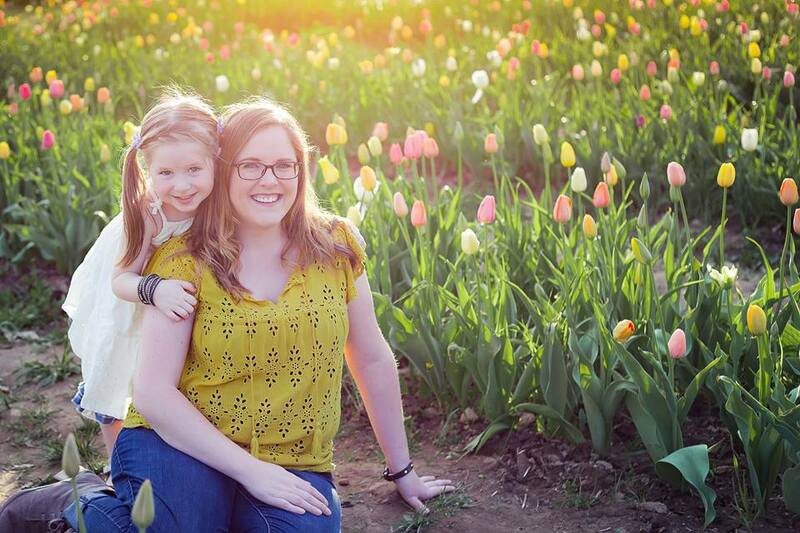 I can’t wait to take our family up to Vermont this winter!! Thank you so much to Ski Vermont for inviting me to this fantastic event! For more infor on what Vermont has in store for you this winter, check out skivermont.com and follow them on TWITTER FACEBOOK and INSTAGRAM! This entry was posted in travel, Uncategorized and tagged new england, skiing, travel, vermont, winter. When I was travelling and going to different kinds of bars to taste their wines, drinks and foods, al these things makes me feel satisfied.